Wealthy! 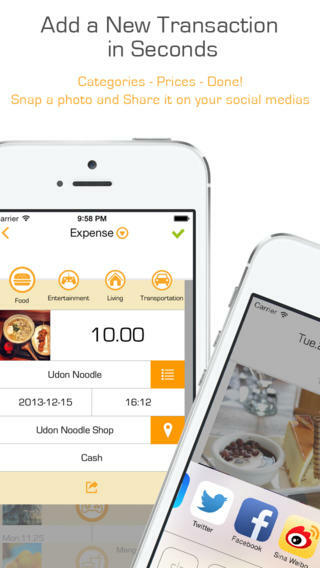 is an expense tracking iPhone app from developer Yi Jen Lin. Assuming a simple and intuitive design, Wealthy! makes keeping control over your finances easy. Fire up the app and you can start adding expenses straight away. Just tap on the “+” symbol to add something new. Wealthy! 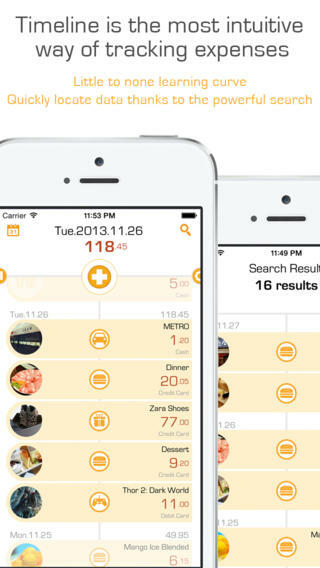 features four different expense categories – food, entertainment, living and transportation. All you need to do is punch in the price and enter in a description. You can manually enter in a name for your records, or choose from a list of common expenses. In addition, you can add a photo as well as add in a location to the expense record. Once you’re done, just select whether you paid by cash, credit/debit card, check or bank account. The exact same screen can be used to also add income if you tap on the arrow at the very top of the page. The expense categories change to salary, stock, real estate and others but all the details are the same as above. If you find that any of the default categories for expenses/income/payment methods etc don’t fit your needs, you can edit them in the Wealthy! iPhone app settings. The interface itself is clean and fast. The design is ‘flat’ and very easy on the eye. To navigate around Wealthy! 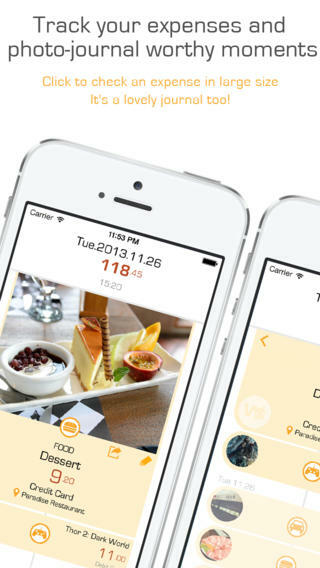 you mainly swipe left or right and then tap on various items to drill down into the data or to enter in information. 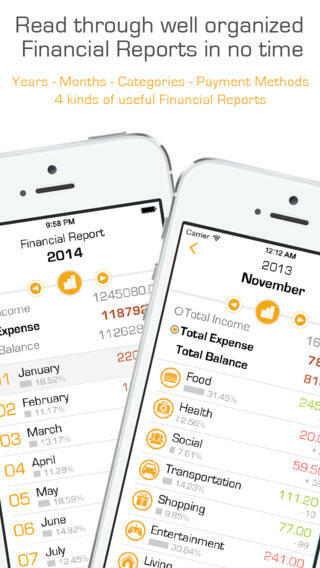 If you swipe left from the main page, you can view financial reports and a rundown of your income and spending habits on a month-by-month basis. Wealthy! allows you to export the data from the app as a CSV file so that you can keep a copy of your financial records on your computer. This iPhone app also lets you backup or restore your data via Dropbox for added peace of mind. Wealthy! requires iOS 6.0 or later. Compatible with iPhone, iPad, and iPod touch. This app is optimized for iPhone 5. Follow Tapscape for all the best iPhone app reviews.